“It’s time!” Richard called through the back door. I dried my hands on a dishtowel and reluctantly walked toward the garage to pull on my old shoes. I thought about how our perfect plan had started to crumble, just like our aging roof. Richard had saved a week of vacation time to reshingle the roof in late August. Our son Eric had agreed to quit his summer job a week early to help his dad. The money we’d save on labor meant that we wouldn’t have to take out a loan for the project. Unfortunately, the shingles didn’t arrive on schedule, but Eric’s college classes did. That left one person to help Richard replace the roof. There was just one small problem—how could I work on the roof with my fear of heights? For days I pleaded, “Lord, he really needs someone to help him up there. But I’ll only be able to do it if You give me the power to overcome my fear.” I reviewed Bible stories of weaklings who became heroes. I quoted verses about the power of prayer and waited to sense a change in my attitude toward heights. Finally the moment of truth arrived. I didn’t feel any power as I started to climb up the old wooden ladder. Halfway up, my stomach already felt queasy. When I reached the top, I whimpered, “I don’t know if I can do this.” Crawling onto the roof on hands and knees, I s-l-o-w-l-y stood up. I looked across the tops of the maple trees in the backyard and out to the sprawling cornfields beyond. As my eyes focused on the incredibly blue summer sky dotted with peaceful floating clouds, something changed. Suddenly I saw my surroundings from a new perspective. My fear had been replaced by a view of faith. Picking up a hammer, I smiled down at Richard and said, “Well, what are we waiting for?” My husband shook off his momentary shock, climbed the ladder, and began demonstrating how to position the shingles. Later that morning as we took a break, I walked up to the ridge of the roof. Richard squinted up at me. “What in the world are you doing?” “Don’t you recognize the theme music from Fiddler on the Roof?” I laughed. He shook his head as I danced across the ridge, playing an imaginary violin and humming the tune to, “If I Were a Rich Man”. All that week, Richard and I worked hard measuring, cutting, and nailing asphalt shingles in the hot sun. And all that week I praised God that He enabled me to help my husband. The fatigue, sore muscles, scrapes, and tar-smudged clothes were overshadowed by the joy I felt in knowing that He had answered my prayer. Even the satisfaction of completing such a big job paled in comparison to the experience of doing something that had seemed impossible only days before. And I vowed to remember what I would have missed if I’d stayed down at the bottom of the ladder, waiting to feel the courage I’d asked for. 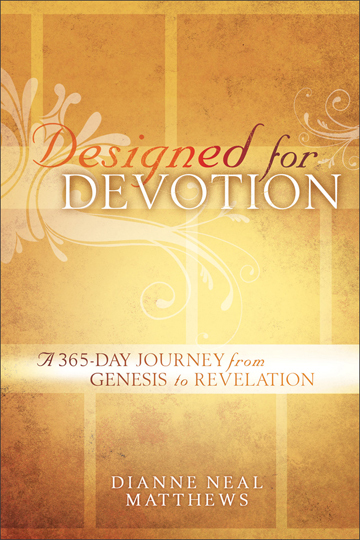 Dianne Neal Matthews is the author of four daily devotional books including The One Year Women of the Bible (Tyndale) and Designed for Devotion: A 365-Day Journey from Genesis to Revelation (Baker), which is a Selah Award finalist. 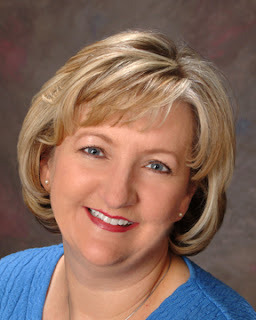 She also writes regularly for websites and blogs (such as CBN.com and FindingGodDaily.com), contributes to compilations (including Guideposts’ 2013 Mornings with Jesus), and enjoys teaching at writers' conferences. She and her husband, Richard, currently live in Salt Lake City. 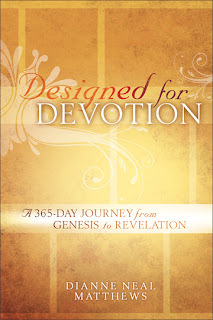 To learn more, visit www.DianneNealMatthews.com.